A person's eyes are an appealing feature of the face that deserves to be visible, but sometimes an excess of skin around the eyes can produce a tired and unflattering facial appearance. Board-certified plastic surgeon Dr. Michael J. Brown uses eyelid surgery (known as blepharoplasty) to reduce excess skin and rejuvenate the lower or upper eyelid, creating a younger and awakened facial appearance. Many men and women receive eyelid surgery at The Loudoun Center for Plastic Surgery to eliminate saggy eyelids, leading to improved functionality and facial appearance. Blepharoplasty, whether lower or upper, creates a more awakened appearance and can give you natural yet noticeable improvements. If you want to learn more about refreshing your eyes with eyelid lift surgery, contact us to schedule a consultation with Dr. Brown at his practice in Ashburn, VA.
"Dr Brown and his staff are top notch! Everyone was lovely, kind and caring!" "Everything was excellent. So good that I'm considering doing other surgeries with Dr. Brown!" Upper or lower blepharoplasty is a facial cosmetic enhancement that is performed on both women and men. At your first visit, treatment options will be explained by Dr. Brown based on your areas of concern that need to be corrected. Generally, ideal candidates are impaired by excess, drooping skin and folds that exist on the top eyelid, or bloated skin just under the bottom eyelid. These irregularities can cause functional and vision difficulties that can get in the way of normal, everyday activities. For a more awake look, blepharoplasty may be the appropriate surgery for you. If you have hanging skin that folds over on the upper eyelid or bulges and puffiness under the eyes, blepharoplasty can treat this to provide you with a more youthful appearance. Depending on the type and complex nature of the eyelid surgery, some form of anesthesia will be provided. This cosmetic procedure may be performed on the top eyelid by itself, under or on the bottom eyelid, or a blend of both eyelids. Upper eyelid surgery assists in decreasing the folds of skin that impair vision in order to produce a more awakened and appealing look. The incision point is often placed along the lid crease to excise loose skin and fatty tissue. A blepharoplasty can take up to two hours considering whether both eyes or one is treated. After this outpatient surgery, you should plan about a week to recover and rest at home. A cold compress can assist in reducing discomfort, swelling, and bruising. 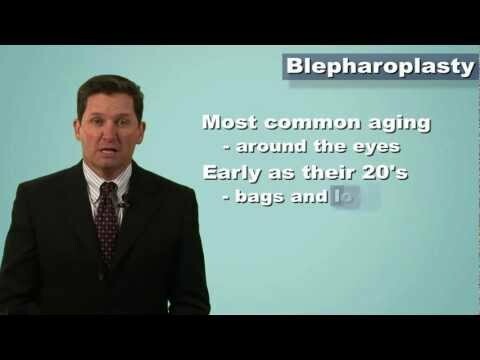 The outcomes from blepharoplasty may last a decade or longer, but while they are long-lasting, aging does not stop. To maintain your surgical outcomes, other nonsurgical cosmetic treatments at The Loudoun Center for Plastic Surgery, such as fillers, peels, and lasers, can be added to create a youthful-looking appearance. Blepharoplasty costs will vary based on whether you are getting a lower eyelid lift, upper, or both. When your surgical plan is created in your initial consultation, Dr. Brown can go over cost estimates. For results that look natural and last for many years, it is better to concentrate on choosing an experienced plastic surgeon whom you are comfortable with, like Dr. Brown, rather than looking for the lowest cost. To help you afford great results, The Loudoun Center for Plastic Surgery takes several payment methods, including low-interest financing. 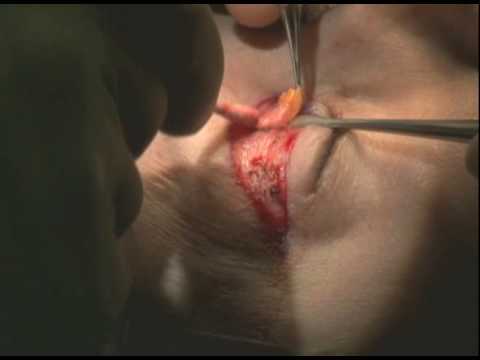 When hanging skin is affecting your sight, your insurance might cover some of your blepharoplasty. Please talk to Dr. Brown in your initial consultation if you are considering applying for an insurance claim. A team member at The Loudoun Center for Plastic Surgery can help you submit the required paperwork and information to your provider to consider your claim. Generally, you will require a letter from an ophthalmologist or optometrist stating that blepharoplasty is medically necessary to restore your vision. Eyelid surgery does not just help to rejuvenate your face, it can also provide you with other benefits. You may discover your vision field is improved once hanging skin on your upper eyelid is removed. It is also easier to put on eye shadow and other makeup once your upper lid is smooth. Getting rid of fine lines, paper-thin skin, dark circles, and puffy bags on your lower eyelid may help your eyes appear fuller and brighter without a lot of makeup. Wrinkles on your forehead and the corners of your eyes (Crow's feet) might be better corrected with a brow lift or facelift because the improvements of blepharoplasty are limited to the upper or lower eyelids. Blepharoplasty may be performed with a nonsurgical treatment, like BOTOX, which can smooth wrinkles around the eyes and on the forehead. Wrinkle fillers, like Juvéderm or Restylane, may help to add volume for a smoother appearance. In your initial consultation, Dr. Brown will develop your personal treatment plan to fit your goals. Noninvasive skin tightening procedures, plus injectable treatments (for example, Restylane, Juvéderm, and BOTOX) may give you mild improvements. Although, if you want to fix moderate to severe loose skin or would like to see results that last a long time, eyelid surgery is better for your needs. After you tell Dr. Brown about your needs and goals, he will give you his suggestions for a surgical or nonsurgical treatment plan. He might also recommend both nonsurgical and surgical procedures for ideal results. If you find it difficult to see or apply makeup due to folds of skin on your upper eyelids, or you are frustrated by bulging bags underneath your eyes, then upper or lower blepharoplasty at The Loudoun Center for Plastic Surgery may be the answer for you. This enhancement can allow you to look and feel refreshed and youthful while offering a beautiful solution to your vision impairment concerns. We encourage you to get in touch with our office in Ashburn, VA to learn more and schedule a consultation with Dr. Michael J. Brown.